Winter season is going great Alhamdulillah, As I am a fan of winter more than the other weathers so I enjoyed it a lot..its too good, everything seems cozy & cool.. which makes me happy.. although I have been captured by cold/cough & flu several times during the season but who cares when you are in love with this cold..! 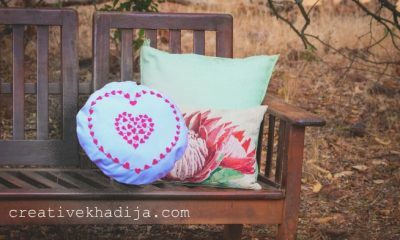 haha..well finally spring is around the corner, in my previous post I have shared a random post filled with some Spring clicks from my home garden, so Weather is changing, do you feel any glimpse of spring around? 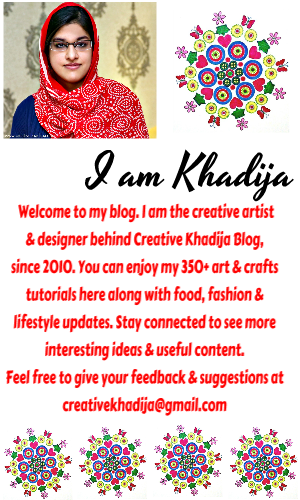 Today I am going to share something inspired by spring season! if you are now hearing the sweet chirping of birds from your window, so it would be a happy sign! 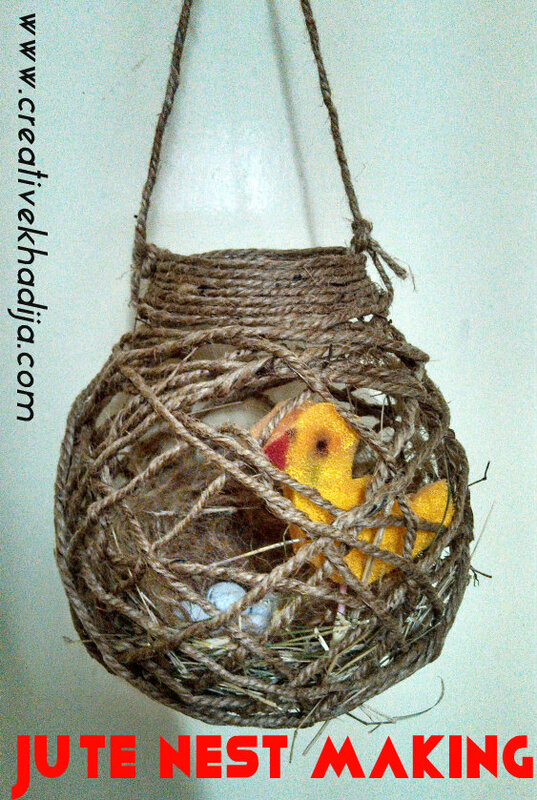 but if you are living in a busy city where the nests of birds are not easily visible near your window, so you must try something like my today’s fun creation. got it? let’s see what I want to share.. 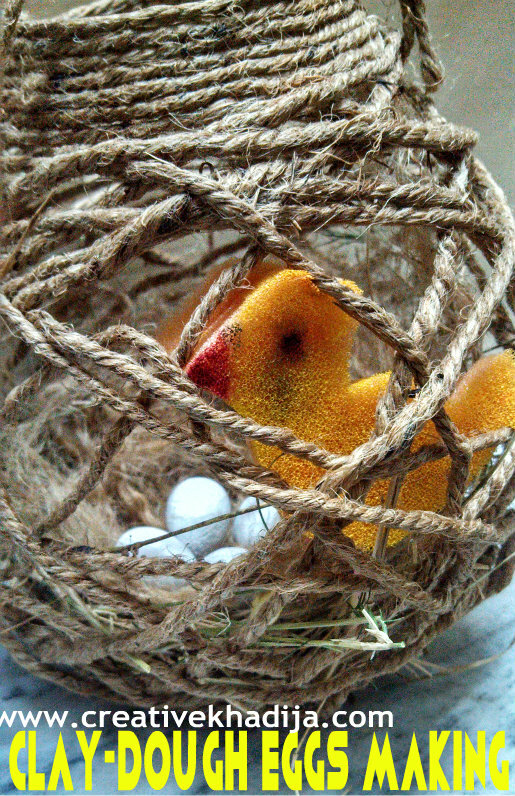 I made a nest with jute rope & then fill it with some tiny handmade creations, a yellow foam bird with some dough made eggs.. I hang it in the corner of a room just to feel the presence of spring around.. isn’t it fun seeing the spring signs too close.. so what if spring is a step far from a few of you may be..but we all need some colors of spring..yeah! For the making of a bird out of foaming sheet, all you need to have is just a foamic sheet piece, scissors, paint colors, an ear bud & glue. 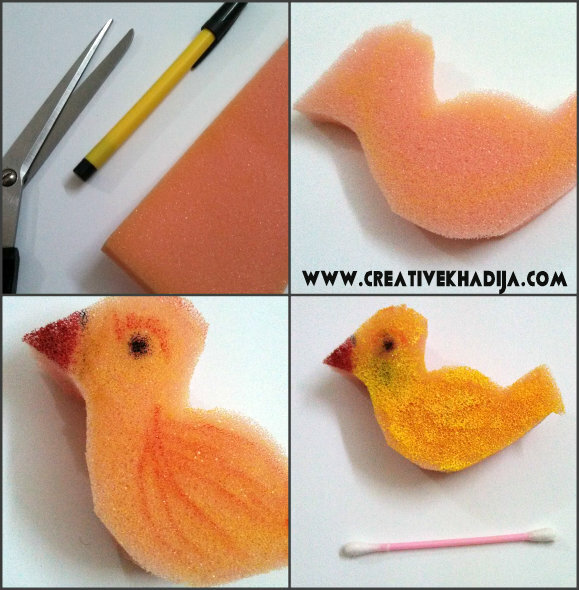 I draw a bird shape on the foam sheet & cut it with scissor. I cut two shapes & then glue them both together, then fold the ear bud stick & fix it as the legs of bird.. then paint it & let it dry!! I made this simple/rough bird because it will be sticking inside the nest, just a sign of bird actually. So its not a perfect bird but its OK within the nest.. So there must be some eggs inside the nest, Right? 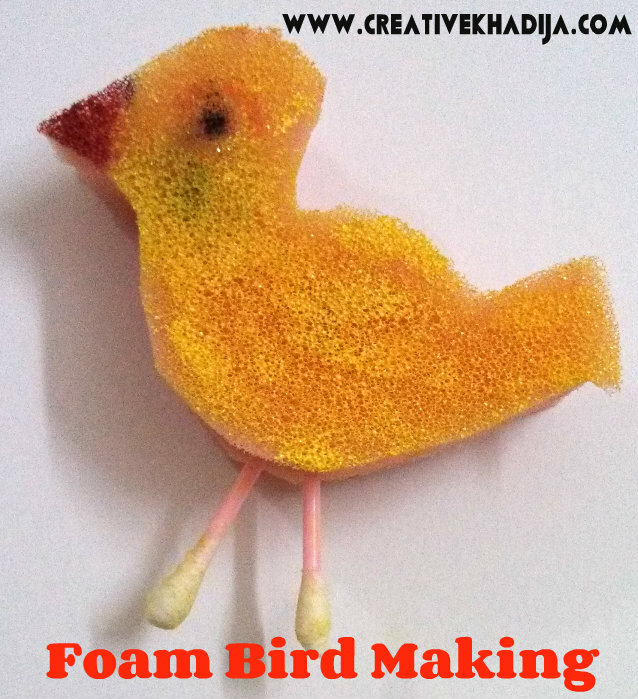 so here you can see how to make birds eggs out of dough or clay. 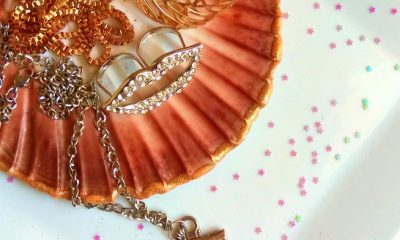 I were having some dry dough placed somewhere in my crafty closet, (Dough recipe)So I thought why not to use that, as I were not going to make something special with this. 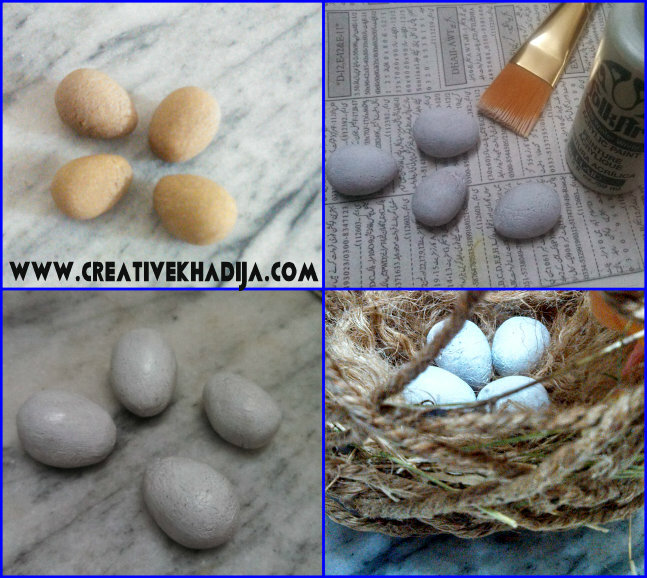 So I shape these as a little eggs & when it was dry totally, I paint it with white acrylic paints. when its done, place it in the nest then. if you will remember once I made a Paper Weight with a lump of dried dough, so while experimenting with dough making if you fail, dont worry & make a paper weight. 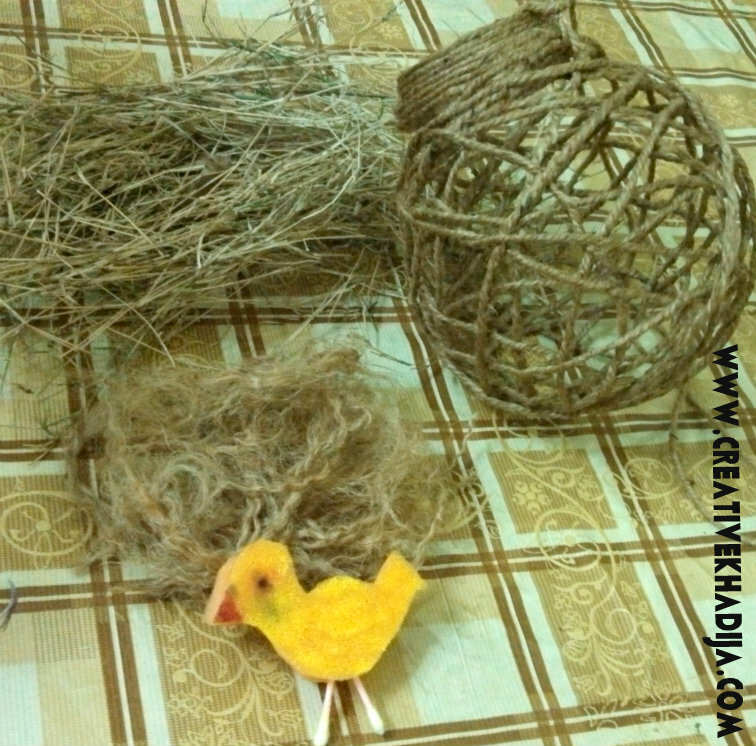 After making the bird & the eggs, I arrange these in jute nest. 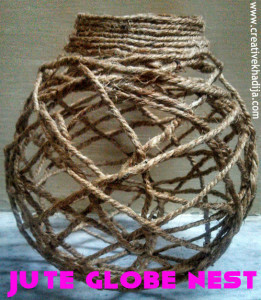 I collect some dry grass & cut some loops of jute rope for arranging these inside. So I fix all thingies & its done! 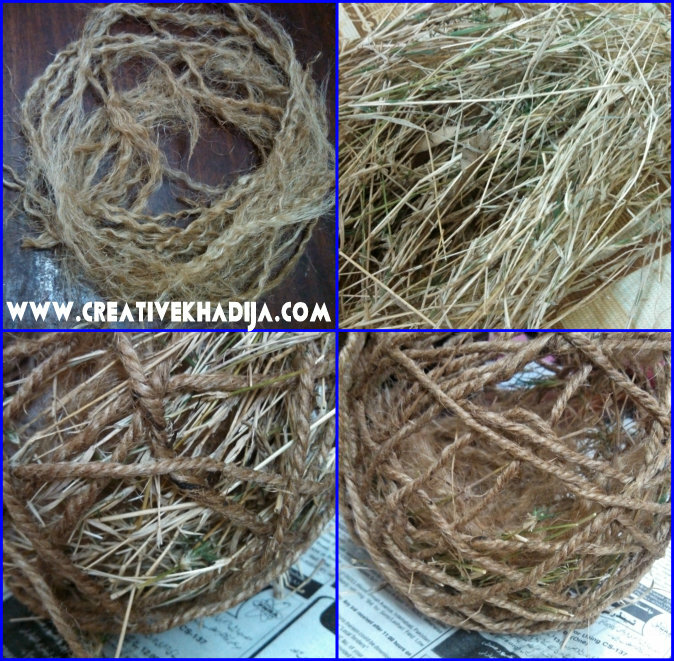 First arrange the layer of dry grass then soft pieces of jute layer, and then place eggs & birds & its DONE! Its making was a bit lengthy but it was fun, I was so curious to see when the nest globe will be getting dry & I start fixing arrangements inside. but it went good finally! 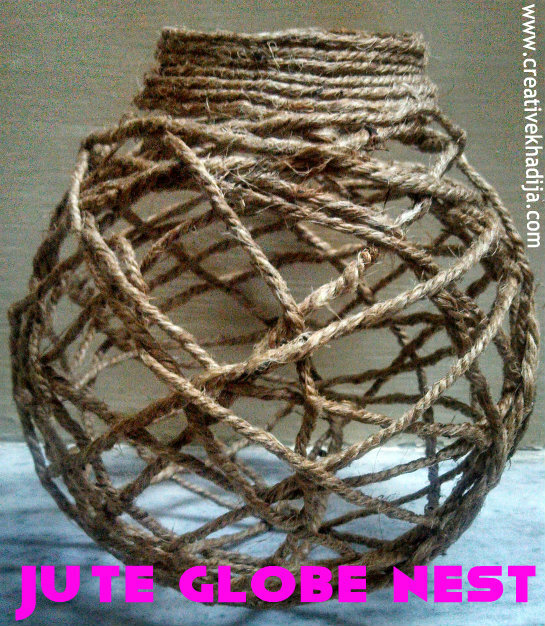 In my next post I will be sharing the making of this nest globe. I hope you will be enjoying the post. HOW DID U MADE THAT NEST////??????????? Cuties! I can’t wait to see how you made the globe nest, it’s so cool. This little nest is so cute! pop over and say hello! 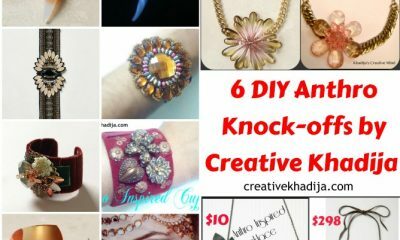 I love this idea and can’t wait to come back to see how you made the nest. 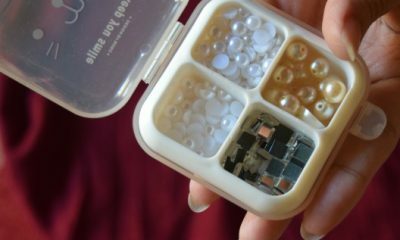 What a great activity to do with the kids! So cute! Looking forward to seeing how you made that beautiful nest!!! Michelle, I will be sharing the nest making soon :) thanks! Traci; Always welcome! I bet your kids would love it. Jamie; I hope so, thanks.. This nest and chick are so cute! 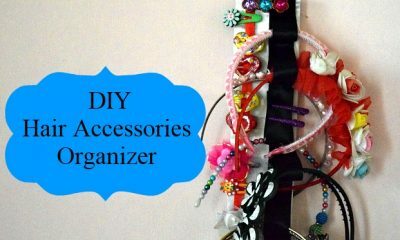 Great kids craft! How sweet! This is a cute idea. I really love the nest. Such a cute little nest! My kids have at least ten rubber ducks that would look so cute in here! Great tutorial!